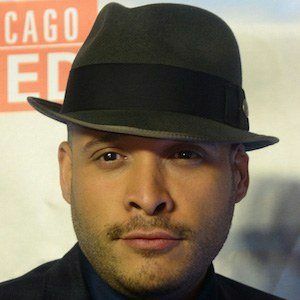 Television actor who gained prominence after landing the role of Joe Cruz on NBC's Chicago Fire. He has also appeared on the spin-off show Chicago PD and the long-running drama Law & Order: Special Victims Unit. During his school years, his girlfriend was in a stage play and seeing her perform made him want to be an actor. His big break came in 2005 when he landed the role as Chaz Fink on Fox's Prison Break, in the episode "English, Fitz or Percy." After that he landed a recurring role as Moco Ruiz on the Starz series Boss, starring Kelsey Grammer. In 2010, he was living in Chicago, out of work, overweight, and depressed. A friend gave him a Groupon to a Zumba class and it changed his life. He lost weight and took joy in his workouts. Because of his love for it, his character on Chicago Fire has been outspoken about his love for Zumba too. He is of Latino descent. He has a Pitbull named Bugsy. He is a golfing enthusiast. When he was first cast on Chicago Fire, he moved into an apartment with his fellow cast members Charlie Barnett and Yuri Sardarov.